At Chez Gustave you can start the day with a delectable and buttery croissant, grab a baguette for lunch, a homemade dish of the day or enjoy a glass of champagne with some cheese as the sun comes down. Gustave also has a wine shop and delicatessen with all manner of deliciousness from his native France. He also serves Spanish Jamon, and Italian coffee because in his words....'they are the best'. A nice treat may be to attend one of his wine and cheese tastings or barista classes. This lovely little cafe is out of the way and a nice find when exploring the city, plus they really do have some of the best croissants in Berlin. 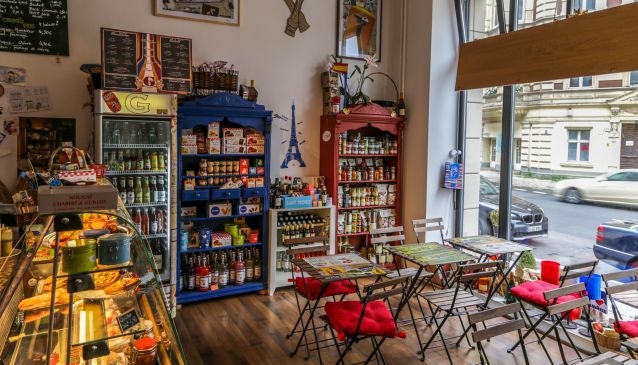 A cosy, but bustling, cafe in Berlin with scrumptious teas, coffees, cakes and breakfasts!